A species of human discovered just 10 years ago is drawing greater attention after the extraordinary discovery that they mingled with modern humans. Scientists have made an extraordinary discovery about modern humans, as we reported recently, discovering that the mysterious Denisovans interbred with our species in not one but two different regions ages ago. But it is the fact that we know so little about the Denisovans and who exactly they were that makes this find so fascinating. 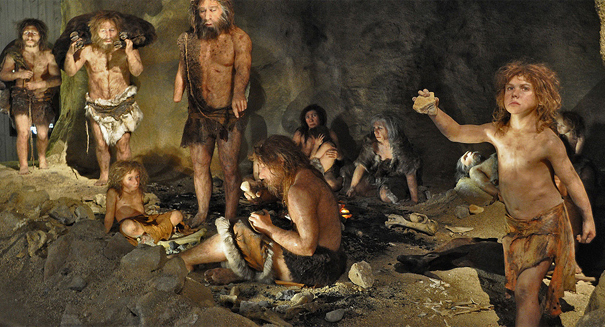 The Denisovans are an extinct species of humans from the genus Homo, like us. Scientists still are not sure whether to classify them as a fully separate species of Homo, going with the temporary name Homo sp. Altai for now, or as a subspecies of ours, Homo sapiens ssp. Denisova. The extraordinary discovery of this new species happened back in March 2010, when scientists found the finger bone fragment from a young female who lived probably around 41,000 years ago. It was discovered in the Denisova Cave in the Altai Mountains in Siberia, hence its name. Since this area was also inhabited by Neanderthals and modern humans, scientists originally suspected this bone to be from one of the two. But an analysis of the DNA from the bone showed that it was genetically distinct from both. Scientists now believe that Denisovans have a common origin with Neanderthals, and lived from Siberia to Southeast Asia. They are also believed to have interbred with the ancestors of modern humans, and Melanesians and Aboriginal Australians appear to have 3 to 5 percent of the DNA from Denisovans.